The Private cloud allows the accessibility of systems and services within the organization. 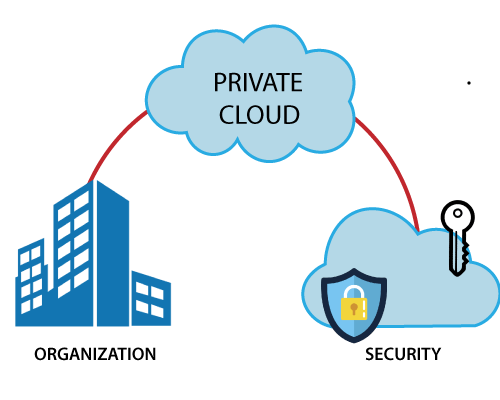 Private cloud is operated only within a particular organization. But it will be managed internally or by third party. Private cloud resources are shared from distinct pool of resources and hence highly secured. Private clouds have more control on its resources and hardware than public cloud because it is accessed only within the boundary of an organization. Private cloud is only accessible locally and it is very difficult to deploy globally. cloud is having more cost than public clouds. In order to fulfill demands, purchasing new hardware is very costly. Private clouds are scaled only within capacity of internal hosted resources.